Easy-to-use. New premium hardware design. Mostly good as a portal to Amazon services. Not great if you want library books or other reading material. OK, so we all agree e-readers are good? Great. Now the question becomes what e-reader should you buy, and I would hazard that for most people it’s the Kindle Paperwhite. That was true even when considering the 2015 version of the device. At $130, it was a lot cheaper than the $250 Kindle Oasis, and for my money, the additional features of the Kindle Oasis weren’t worth the extra cost—but at least the differentiators existed. It was a better deal before, and that deal has only gotten better now that the Paperwhite has some Oasis features. In particular, the new Paperwhite inherits the Oasis’ Bluetooth audio capabilities that let you sync up the book you’re reading with an Audible version of the book. When Amazon introduced this feature with the Kindle Oasis, I thought I would get more use out of it, but in practice paying $15 for a book and then another $15 for an audiobook is deeply unappealing. If you are a heavy user, I could see an Audible subscription plus a Kindle Unlimited subscription paying off, but I can’t justify it—especially since, as I noted above, I’ve had some good luck getting books from the public library onto the Kindle. Regarding the hardware, I noted above that the device is ever so slightly lighter and smaller than before. The difference isn’t noticeable. The one physical improvement I quite like, though, is the new display that is flush with the Paperwhite’s newly shiny bezels—both of these touches, again, are holdovers from more expensive Kindles before the new Paperwhite and makes the device look similar to the now-deceased Kindle Voyage. It’s a subtle change that gives the device a more elegant, premium appearance. The new Paperwhite (right) is very slightly smaller, but what’s more noticeable is the upgraded design. The new Paperwhite (right) has expanded reading customization, including the ability to save different themes. The new Kindle Paperwhite (right) is brighter than the older model. It’s more noticeable in real life. The Kindle Oasis has a larger screen. Maybe it’s a testament to the Paperwhite’s balance of design, price, and features that it’s hard to compete with. 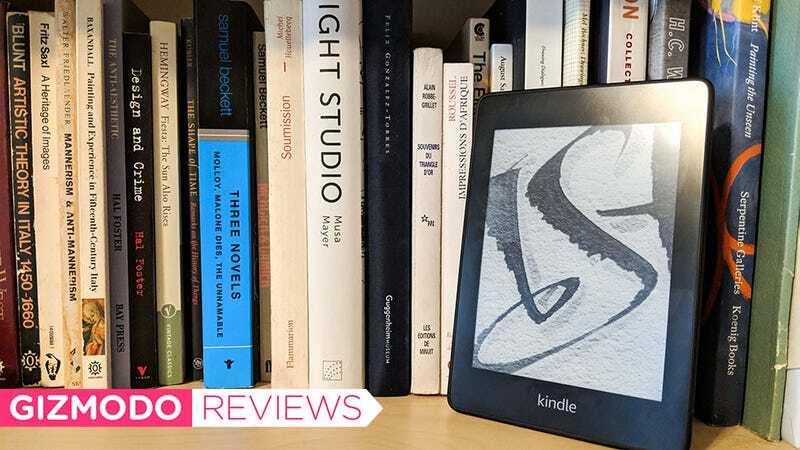 Are you in the market for a Kindle? This is the Kindle for you. 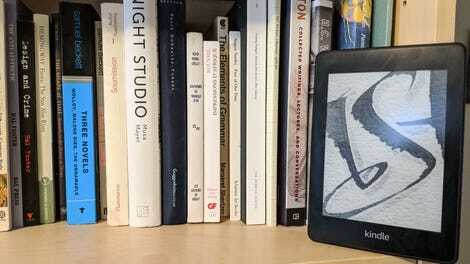 Do you already have a Kindle Paperwhite? You probably don’t need this one unless you are dying for that seamless Audible integration. Should you buy a Kindle Oasis? Probably not! It has physical page turn buttons and a slightly larger, brighter display with adaptive lighting, but I’m willing to bet that it’s not worth the extra $120 for most people. I should note that Kindles are mostly a portal to Amazon e-books and Audible audiobooks. While it’s possible to get other reading material and even library books onto the Paperwhite, the device is walled in its design. If you’re interested in a device that’s more open, Japanese retailer Rakuten has its Kobo line of Kindle competitors which are super, and in that line, the Clara HD e-reader is priced the same as a Paperwhite and has nearly identical hardware specs. Kobo tablets have the benefit that Rakuten also owns the library service Overdrive, so it’s tightly integrated the service. They also have Pocket integration, so it’s easier to get access to the long articles you save when you are too busy bickering at people on Facebook to read something intelligent. Just great—this is the default e-reader of choice.